If you’ve been following the Tales series for the past half of a decade, you’ll likely recognize the name Hideo Baba. 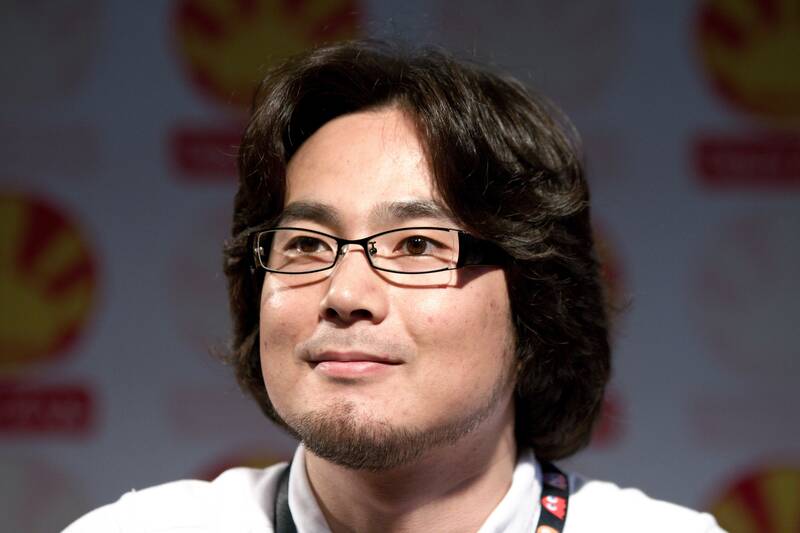 While he joined Namco in 2001, Hideo Baba has been the producer of the Tales series since 2007 and became a public figure of sorts for the games, particularly in the West, during the promotional period while we waited for Tales of Graces f in the middle of 2011 to the beginning of 2012. Baba was known among fans for his appearance in various videos on YouTube and other platforms, as well as his laugh and occasional sarcasm. You could even say he was a bit of a troll. 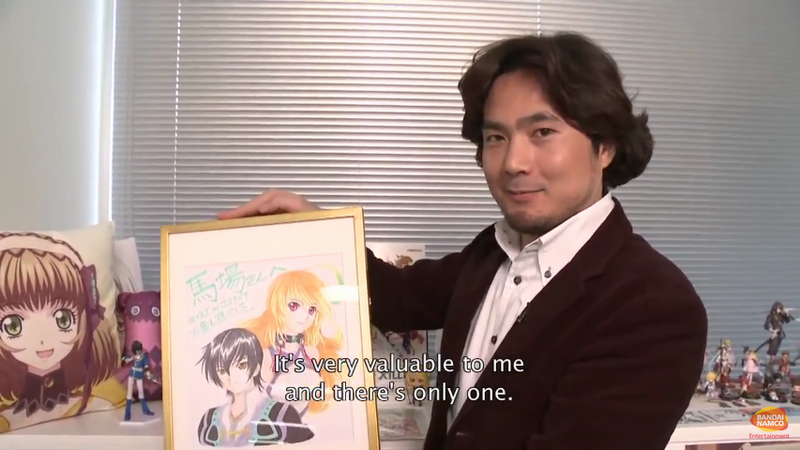 Although he was simply the general producer for the series, he certainly made his presence known as the public face of Tales, regardless of his position. You may have already read the article on Abyssal Chronicles or even heard me and my friends talk about it on the Skit Style BBS Podcast, but in case you haven’t heard, Hideo Baba has left Bandai Namco and formed a new studio with Square Enix. After Tales of Zestiria was released in Japan, there was a controversy involving one of the characters who was revealed early during the game’s development, Alisha. Japanese fans complained about Alisha’s quick departure from the party, claiming that she was “barely playable.” I personally wasn’t too bent up about it, although I do feel like she left too early. If you want to know more about what I think, check out this video, but the point is that most Japanese fans were displeased with Alisha’s role in the party. At the time, Hideo Baba was blamed for Alisha’s portrayal in the story, with some fans even petitioning for him to be fired. According to a recent interview with Famitsu, Hideo Baba wanted to “pass on the torch” to another, but I personally believe that it could have been due to the backlash from Zestiria. Like I said before, he was often blamed for the controversy. I mean, sure, as a producer, his control is limited, but he was also taking a fair amount of hits in interviews and other articles from back then. Even if indirectly, Hideo Baba took all of the shots regarding the controversy and even defended her portrayal in the story (link takes you to a Siliconera article about it, but they also published an interview in which Baba defends it directly to the interviewer, let me know in the comments if you find it, it’s pretty old at this point.) With this and the fact that Tales of Berseria had a different producer, Yasuhiro Fukaya, the writing’s on the wall, if you ask me. The new studio that Baba formed is called “Studio Istolia” and his new role is that of president. According to Abyssal Chronicles translation, the word “Istolia” is Greek for story (oh gee, I wonder where he got that name from…) Not much else is known about the studio, though they do have website up and running, though there’s still not much. They have announced that they are working on a new game, currently code named Project Prelude Rune. Very little is known about what kind of game this is, though Baba has stated that it will be a classic RPG, akin to the old days (according to other sources who posted about this. I believe they are likely referring to SNES or early PS1 games.) In interviews, Hideo Baba has stated that he enjoys games like Wizardry and The Elder Scrolls series, so I wouldn’t be surprised if this game, or future Studio Istolia games incorporate aspects like those series. Heck, the artwork shown on the site looks like something from a Western RPG more than a Japanese one. I definitely plan to check it out when it comes out, provided that it comes out in English. Now, the next thing to consider is what will happen to the Tales series going forward. The way I see it, there are two options that Namco could take. 1. Each new Tales game will have a different producer – I’m not completely familiar with how the gaming industry general works, but this one seems to be the most common for other companies, from my amateur perspective. The benefit to this is that each Tales game will, assumingly, be unique and not trek over the same waters as often as it has been. The downside to this is that each producer they bring in may have different sensibilities than the previous one, let alone different from the Tales series and what it should be thematically. Different producers may be more expensive as well, though again, I don’t know much about what the video game industry requires and the financial output standards. 2. The producer for Tales of Berseria, Yasuhiro Fukaya, will take over as general producer – This one seems more likely to me, as Tales games these days have only had one producer. Although he’s only worked on one game, Fukaya seems to have been a hit withe fans, or at least his game has. The new studio with Baba at the helm may also prove useful for Square Enix. The only real competitor to the Tales series that Square has is Star Ocean, which isn’t as popular as Tales. By making a new studio with Baba, Square Enix may attempt to make a series to compete directly with the Tales series, or at least attempt to out-Tales Namco. Who better to help with that than the former producer of the series? Also, with his interests in Western RPGs, Baba could attempt to make a game similar to Dark Souls, if not for the sake of targeting a Namco franchise (yes, I know Namco doesn’t actually develop Dark Souls but they do publish it.) Of course, this is all assuming Hideo Baba has a bit of distaste for Namco at this point, though I don’t see why he would. As far as I know, the company has never wronged him. I honestly think he just wanted to get away from the stress of the Alisha backlash. I suppose it is also possible that Namco wanted to cut ties with him due to the controversy, but we don’t have any way of knowing currently. I doubt Baba will ever spill the beans anyway, unless some company or publication does an off-the-cuff interview with him. Though, as I’m writing this and looking up a video to take a certain snapshot of, the idea of Baba seeing his work at Namco as being temporary is also possible. In this particular video, Baba talks about what it’s like making the Tales games, claiming that he wants to “grow as a person.” As an RPG fan himself, perhaps his big dream would be to work for Square Enix? It makes sense from an experience standpoint, I feel. However, we once again have no way of knowing until Baba says so himself, or Namco for that matter. We may not hear from them regarding this matter for long time, if at all. Regardless of the reason why he left, I look forward to seeing what Hideo Baba brings to the gaming world in the future. Project Prelude Rune seems interesting, despite us not knowing hardly anything about it. I trust his capabilities in the gaming industry and I wish him well. And after he left, Berseria turns out to be one of the best with no generic MC nonsense; seems like Baba was the problem.